On 12th July, 1956, the stalwarts like Mr. Ismail D. Lambat, Mr. H. Shaban, Mirza Adam Khan G, Mr. Ismail Bhimani, Mr. Shaukat Ali Syed, Mr. Ghufran Ahmed, Mr. Masud Ahmed Abbasi, Mr. Mubin Haq Siddiqui, Mr. Y.S. Shaikh and Mr. Silar Shah, founded Income Tax Practitioners’ Association with the object to provide a platform to the tax consultants / professionals through which the problems and difficulties confronting by them in discharge of their professional duties are tackled so as to enable them to give expressional to their views on matters of administration of law and dispensation of justice. It was also prime object of the Association to look after, safeguard and protect the rights and privileges of the members of the Association. This Association was later on taken over by the Karachi Tax Bar Association. 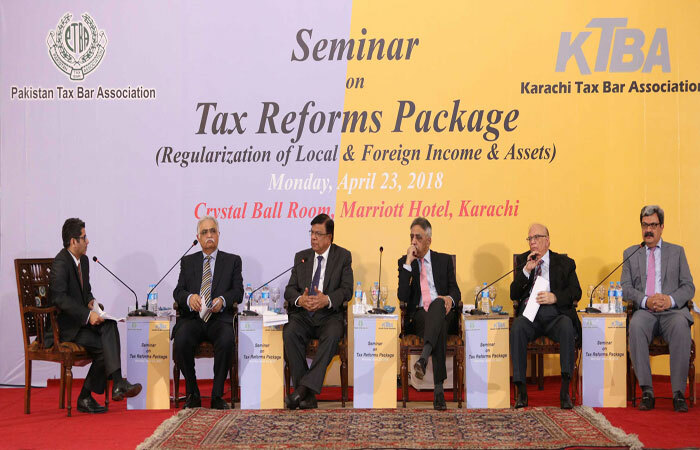 The Karachi Tax Bar Association is the one of the largest Bar of the country, which has many Advocates, Professional Accountants and Tax consultants in its fold. 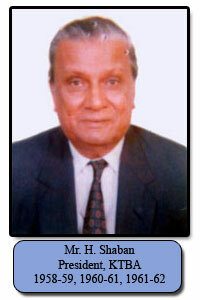 It has a long tradition of organizing Seminars, Workshops and Conferences on taxation measures and fiscal policies. In the last fifty years Bar has established, promoted and maintained high standard of honesty, efficiency and integrity in the conduct of professional duties so as to enhance the status, dignity, prestige and honor of the profession. The Association is regularly printing and publishing News & Views, papers, Periodicals and Books for promotion of professional education amongst the members of the Bar in particular and citizens of the country in general. Bar has played a very positive and vital role in formulating, suggesting and assisting the Government of Pakistan measures for creation of tax culture in Pakistan and to build the economy of the country. It is organizing the first-ever National Tax Conference in the history of Pakistan and the theme Tax Culture for Revival of Economy has been chosen for this Conference. It is also affiliated with many National and International Associations / Organizations and establishing training academy in the near future. Bar is also encouraging its members for higher education and establishing awards, medals, and scholarships for those members with exemplary academic records.